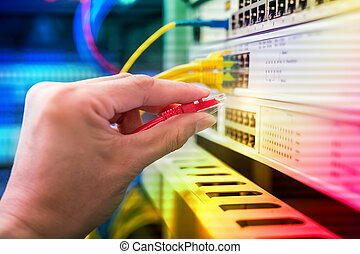 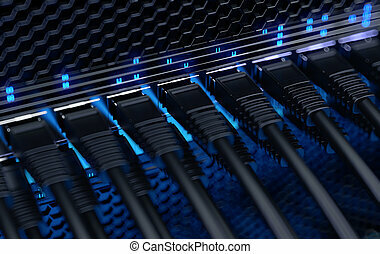 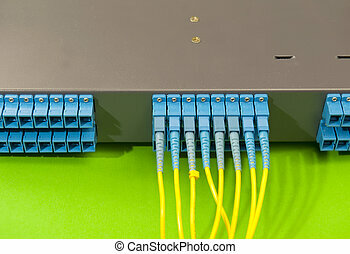 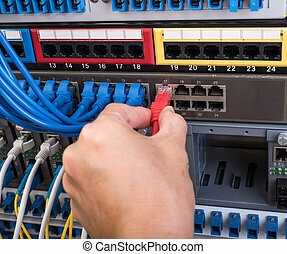 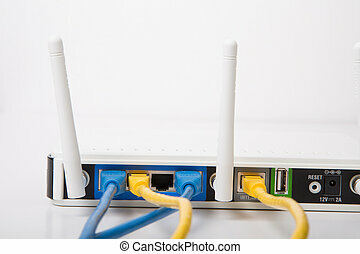 Modern network switch with cables. 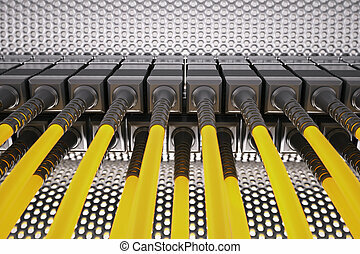 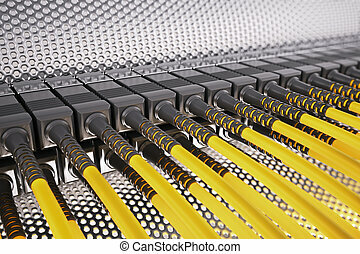 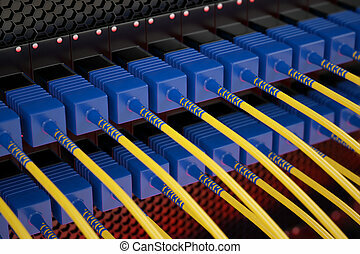 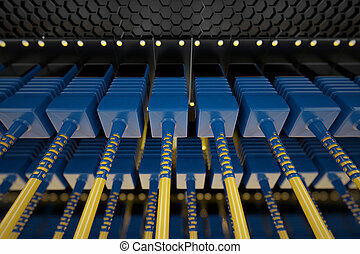 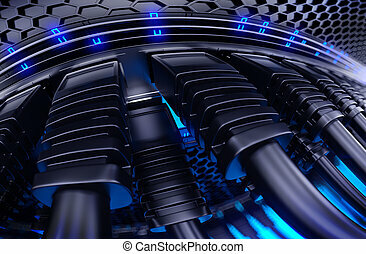 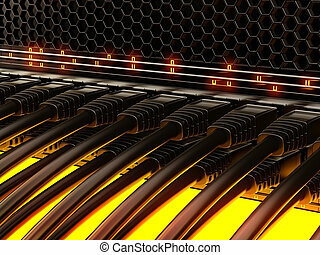 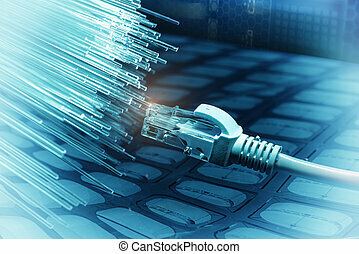 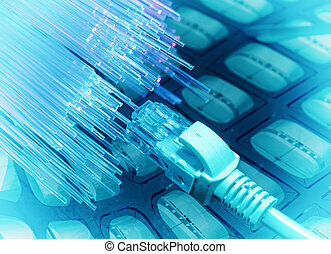 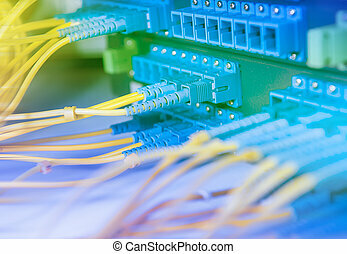 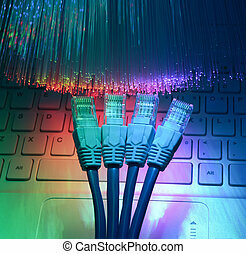 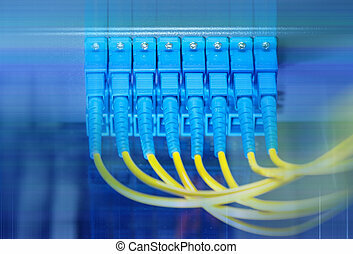 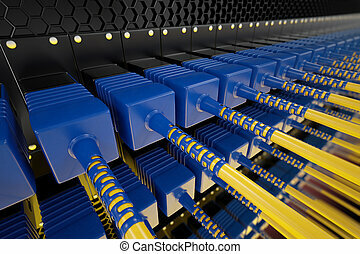 Closeup on blue and yellow optic fiber cables connected to data server. 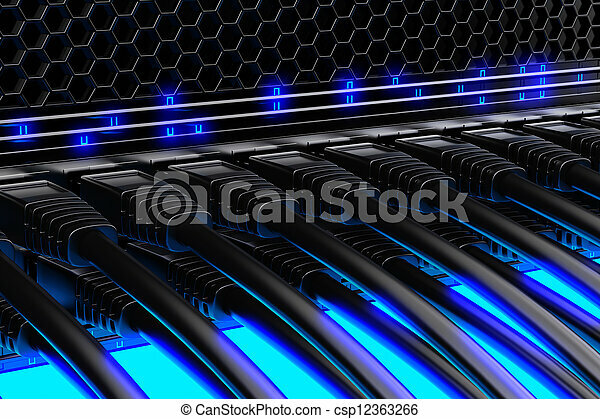 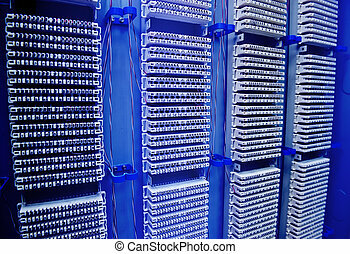 Row of rack mounted servers in data center with green LEDs. 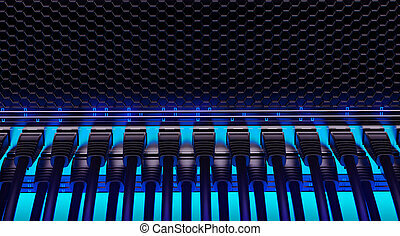 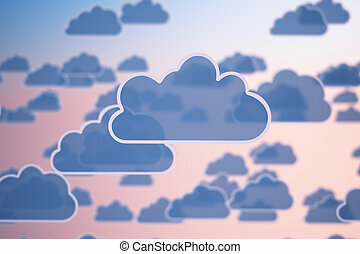 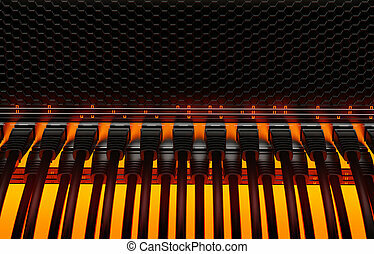 Cloud computing conceptual image. 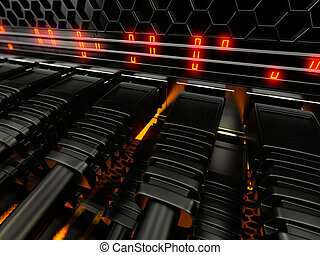 Computing in the cloud is getting more and more popular as it unlocks many possibilities. 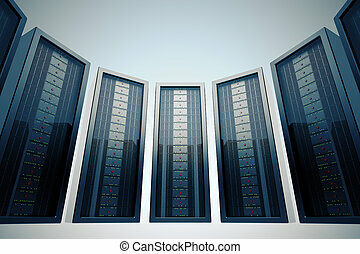 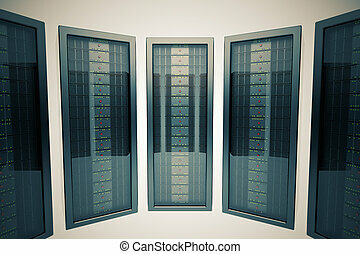 Storing important data, photos and backups is fast, easy and safe with storage in the cloud. 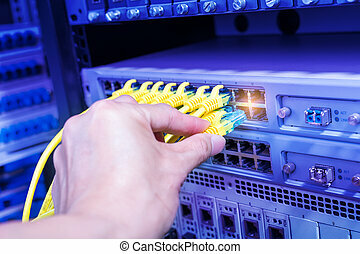 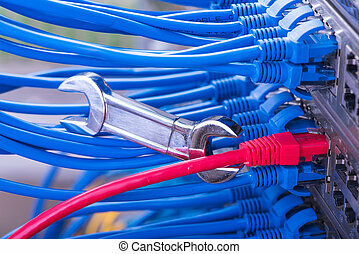 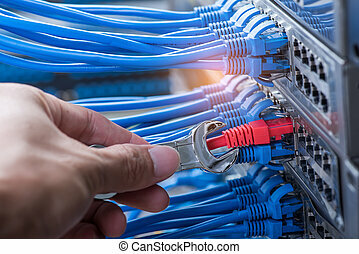 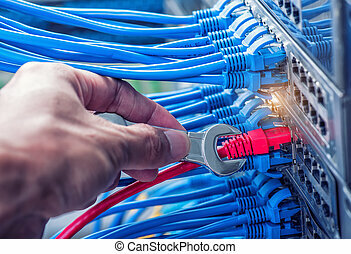 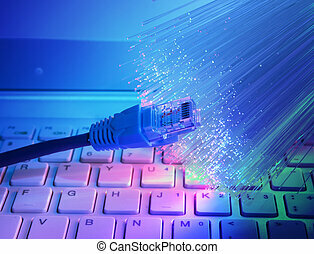 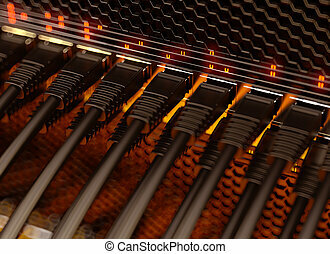 Fibre optic cable connected to an optic ports in a datacenter.